As per the banner, Samsung Galaxy S10+ will have an end to end display with a punch hole design at the top-right corner of the front panel. We could see the "handsets" triple-lens and dual-lens cameras, ultra-thin bezels, and much ballyhooed "pinhole' cameras". Along with the previous leaks, it seems we have a pretty good idea about the specs and features the Galaxy Watch Active will be packing. As the image above reveals, the Samsung Galaxy S10e has a 5.8-inch 19:9 Infinity-O display with a resolution of 2280 x 1080 pixels. For starters, live images of it have made the rounds online, and this came at the same time as the first leak of the Galaxy Buds, the successor of the Gear IconX, which showcased the long-rumored reverse-charging feature. 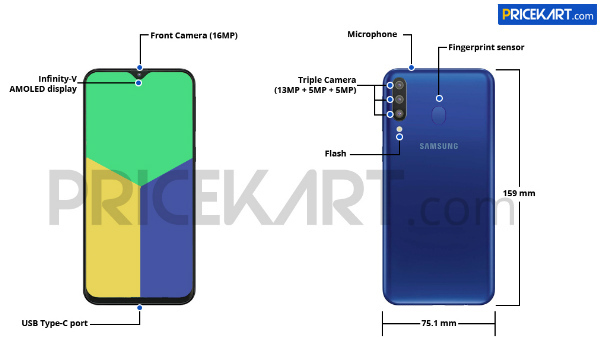 MySmartPrice has also revealed a possible Blue colour variant of the Galaxy S10e (aka Galaxy S10 lite) smartphone. The report indicates that the device will come with a 3,100mAh battery with two storage and RAM variants. Samsung was expected to finally debut its foldable smartphone - now dubbed as Galaxy Fold - sometime during the MWC 2019 that will be happening later on this month. The front facing camera is a 16-megapixel unit with an aperture of f/2.0. We are a week away from the official unveiling of the new handsets to the galaxy s-series family. Samsung is calling it the "Infinity O" display. Samsung could launch as many as four phones this year. While the 2GB RAM variant of Galaxy M10 is priced at Rs 7,990, its 3GB RAM model can be purchased at Rs 8,990. The hanguk was displayed in white letters across a black screen and transitioned into its english counterpart with the same effect.